The previous chapter showed how transactions caused financial statement amounts to change. “Before” and “after” examples were used to develop the illustrations. Imagine if a real business tried to keep up with its affairs this way! Perhaps a giant marker board could be set up in the accounting department. As transactions occurred, they would be communicated to the department and the marker board would be updated. Chaos would quickly rule. Even if the business could manage to figure out what its financial statements were supposed to contain, it probably could not systematically describe the transactions that produced those results. Obviously, a system is needed. It is imperative that a business develop a reliable accounting system to capture and summarize its voluminous transaction data. The system must be sufficient to fuel the preparation of the financial statements, and be capable of maintaining retrievable documentation for each and every transaction. In other words, some transaction logging process must be in place. In general terms, an accounting system is a system where transactions and events are reliably processed and summarized into useful financial statements and reports. Whether this system is manual or automated, the heart of the system will contain the basic processing tools: accounts, debits and credits, journals, and the general ledger. This chapter will provide insight into these tools and the general structure of a typical accounting system. The records that are kept for the individual asset, liability, equity, revenue, expense, and dividend components are known as accounts. In other words, a business would maintain an account for cash, another account for inventory, and so forth for every other financial statement element. All accounts, collectively, are said to comprise a firm’s general ledger. In a manual processing system, imagine the general ledger as nothing more than a notebook, with a separate page for every account. Thus, one could thumb through the notebook to see the “ins” and “outs” of every account, as well as existing balances. The following example reveals that cash has a balance of $63,000 as of January 12. By examining the account, one can see the various transactions that caused increases and decreases to the $50,000 beginning- of-month cash balance. In many respects, this Cash account resembles the “register” one might keep for a wallet-style checkbook. A balance sheet on January 12 would include cash for the indicated amount (and, so forth for each of the other accounts comprising the entire financial statements). Notice that column headings for this illustrative Cash account included “increase” and “decrease” labels. In actuality, these labels would instead be “debit” and “credit.” The reason for this distinction will become apparent in the following discussion. References to debits and credits are quite common. A business may indicate it is “crediting” an account. “Debit” cards may be used to buy goods. 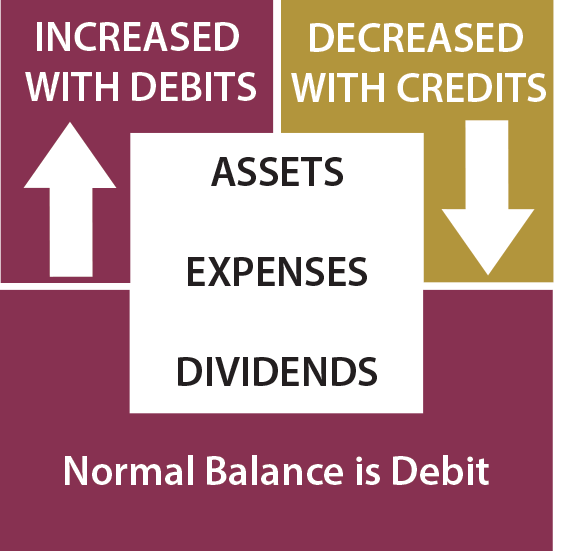 Debits and credits (abbreviated “dr” and “cr”) are unique accounting tools to describe the change in a particular account that is necessitated by a transaction. In other words, instead of saying that cash is “increased” or “decreased,” it is said that cash is “debited” or “credited.” This method is again traced to Pacioli, the Franciscan monk who is given credit for the development of our enduring accounting model. Why add this complexity — why not just use plus and minus like in the previous chapter? There is an ingenious answer to this question that will soon be discovered! The second observation above would not be true for an increase/decrease system. For example, if services are provided to customers for cash, both cash and revenues would increase (a “+/+” outcome). On the other hand, paying an account payable causes a decrease in cash and a decrease in accounts payable (a “-/-” outcome). Finally, some transactions are a mixture of increase/decrease effects; using cash to buy land causes cash to decrease and land to increase (a “-/+” outcome). In the previous chapter, the “+/-” nomenclature was used for the various illustrations. Take time to review the comprehensive illustration that was provided in Chapter 1, and notice that various combinations of pluses and minuses were needed. As one can tell by reviewing the illustration, the “+/-” system lacks internal consistency. Therefore, it is easy to get something wrong and be completely unaware that something has gone amiss. On the other hand, the debit/credit system has internal consistency. If one attempts to describe the effects of a transaction in debit/credit form, it will be readily apparent that something is wrong when debits do not equal credits. Even modern computerized systems will challenge or preclude any attempt to enter an “unbalanced” transaction that does not satisfy the condition of debits = credits. The debit/credit rules are built upon an inherently logical structure. Nevertheless, many students will initially find them confusing, and somewhat frustrating. This is a bit similar to learning a new language. As such, memorization usually precedes comprehension. Take time now to memorize the “debit/credit” rules that are reflected in the following diagrams. Going forward, one needs to have instant recall of these rules, and memorization will allow the study of accounting to continue on a much smoother pathway. Full comprehension will follow in short order. As shown at left, asset, expense and dividend accounts each follow the same set of debit/credit rules. Debits increase these accounts and credits decrease these accounts. These accounts normally carry a debit balance. To aid recall, rely on this mnemonic: D-E-A-D = debits increase expenses, assets, and dividends. Liability, revenue, and equity accounts each follow rules that are the opposite of those just described. 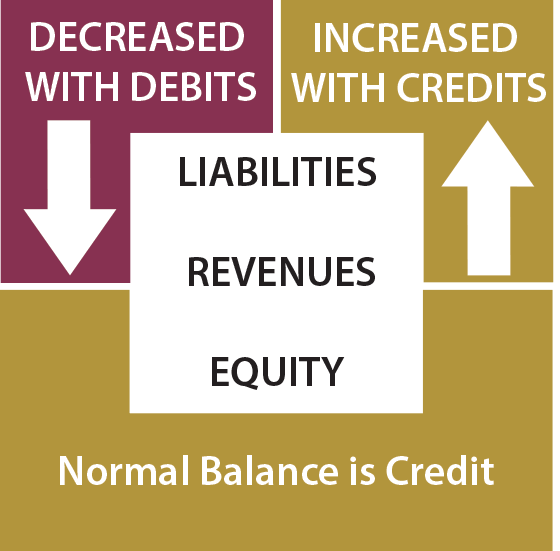 Credits increase liabilities, revenues, and equity, while debits result in decreases. These accounts normally carry a credit balance. To aid recall, rely on this mnemonic: R-E-L-I-C = Revenues, Equity and Liabilities are Increased with Credits. It is now apparent that transactions and events can be expressed in “debit/credit” terminology. In essence, accountants have their own unique shorthand to portray the financial statement consequence for every recordable event. This means that as transactions occur, it is necessary to perform an analysis to determine (a) what accounts are impacted and (b) how they are impacted (increased or decreased). Then, debits and credits are applied to the accounts, utilizing the rules set forth in the preceding paragraphs. 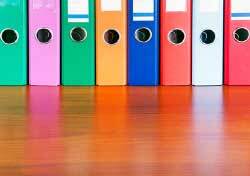 Usually, a recordable transaction will be evidenced by a source document. A disbursement will be supported by the issuance of a check. A sale might be supported by an invoice issued to a customer. A time report may support payroll costs. A tax statement may document the amount paid for taxes. A cash register tape may show cash sales. A bank deposit slip may show collections of customer receivables. Suffice it to say, there are many potential source documents, and this is just a small sample. 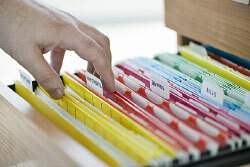 Source documents usually serve as the trigger for initiating the recording of a transaction. The source documents are analyzed to determine the nature of a transaction and what accounts are impacted. Source documents should be retained (perhaps in electronic form) as an important part of the records supporting the various debits and credits that are entered into the accounting records. To illustrate, assume that Jill Aoki is an architect. Concurrent with delivering completed blueprints to one of her clients, she also prepared and presented an invoice for $2,500. The invoice is the source document evidencing the completed work for which payment is now due. Therefore, Accounts Receivable is to be increased (debited) and Revenues must be increased (credited). When her client pays, the resulting bank deposit receipt will provide evidence for an entry to debit Cash (increased) and credit Accounts Receivable (decreased). A properly designed accounting system will have controls to make sure that all transactions are fully captured. It would not do for transactions to slip through the cracks and go unrecorded. There are many such safeguards that can be put in place, including use of prenumbered documents and regular reconciliations. For example, an individual might maintain a checkbook for recording cash disbursements. A monthly reconciliation should be performed to make sure that the checkbook accounting system has correctly reflected all disbursements. A business must engage in similar activities to make sure that all transactions and events are recorded correctly. Good controls are essential to business success. Much of the work performed by a professional accountant relates to the design, implementation, and evaluation of properly functioning control systems. Bear in mind that each of the debits and credits to Cash shown in the preceding illustration will have some offsetting effect on another account. For instance, the $10,000 debit on January 2 would be offset by a $10,000 credit to Accounts Receivable. The process by which this occurs will become clear in the following sections of this chapter. 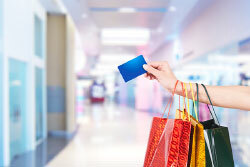 Many people wrongly assume that credits always reduce an account balance. However, a quick review of the debit/credit rules reveals that this is not true. Where does this notion come from? Probably because of the common phrase “we will credit your account.” This wording is often used when one returns goods purchased on credit. Carefully consider that the account (with the store) is on the store’s books as an asset account (specifically, an account receivable). Thus, the store is reducing its accounts receivable asset account (with a credit) when it agrees to credit the account. On the customer’s books one would debit (decrease) a payable account (liability). On the other hand, some may assume that a credit always increases an account. This incorrect notion may originate with common banking terminology. Assume that Matthew made a deposit to his account at Monalo Bank. Monalo’s balance sheet would include an obligation (“liability”) to Matthew for the amount of money on deposit. This liability would be credited each time Matthew adds to his account. Thus, Matthew is told that his account is being “credited” when he makes a deposit. Understand the concept of an account. Know that every transaction can be described in “debit-credit” form, and that debits must equal credits! Be aware of the reasons that accountants use debits and credits, rather than pluses and minuses. Know the six types of accounts (e.g., assets), and the related debit/credit rules. Note the importance of transaction analysis and source documents. Understand why credits are sometimes misunderstood.